A man who planned to bomb a train track using a device made from fairy lights and a pressure cooker has been jailed for life. Zahid Hussain packed the "bomb" with 1.6kg of shrapnel after being radicalised by Islamic State propaganda, his trial heard. Police said the 29-year-old visited woods near his Birmingham home in preparation for a possible attack, including reconnaissance of the main London rail line. CCTV showed him climbing down a storm drain near a high-speed track - but detectives said they could find no evidence of a specific target or train service. Hussain, a former doorman, used a bedroom at his parents' house as his "base of operations and improvised laboratory". He successfully made four igniters from fairy lights and tried to make a remote-control detonator from a wireless doorbell. A book that included talk of attacking rail lines was also found at his home after his arrest in August 2015. 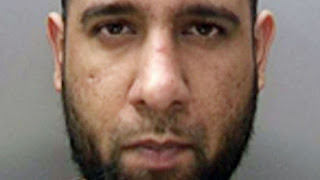 Judge Mr Justice Sweeney, sentencing Hussain to a minimum of 15 years at Winchester Crown Court, said it was clear he was "strongly committed" to carrying out multiple bombings. His device was not viable, but if it had been, the judge said it would have caused a "significant explosion" and been potentially fatal. Hussain claimed after his arrest that he was just experimenting with explosives and intended to sell the device to The Sun newspaper. But jurors heard how he had a strong interest in IS and had viewed hundreds of images connected to the terror group, as well as the Boston marathon bombers - who also used pressure-cooker bombs. The judge said the jail term took into account expert reports that Hussain suffers from paranoid schizophrenia, and did so at the time of the offence. However, he added that he "had some doubts as to the genuineness of your mental illness". Jailing Hussain, the judge added: "You are a dangerous offender and in the view of the level of the danger that you pose, and the impossibility of predicting when it will come to an end, this is an appropriate case in which to impose a sentence of life imprisonment."